Brazilian cherry hardwood floors have been a popular choice throughout the decades, staying current as other flooring trends have come and gone. 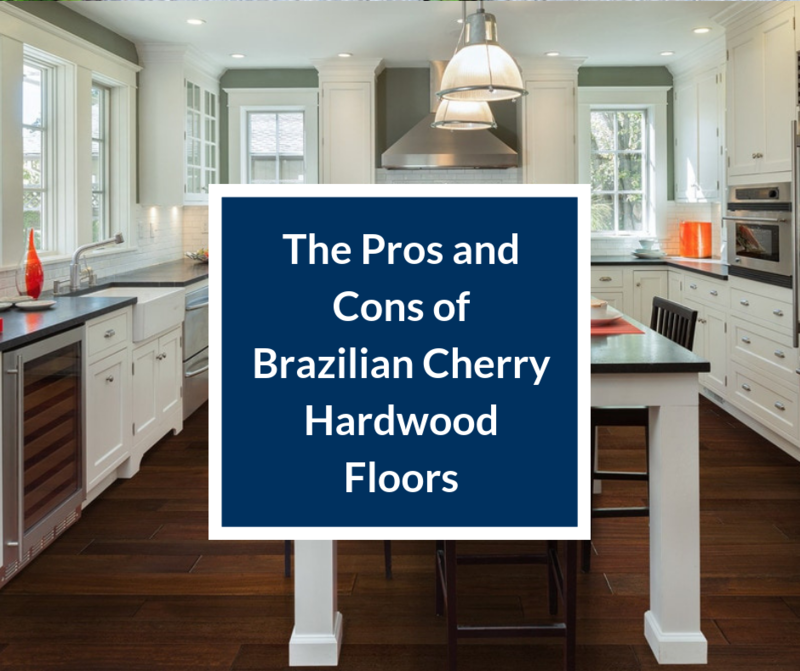 Like any type of flooring, Brazilian cherry wood has its own pros and cons. Understanding this wood will help you decide whether it will suit the needs of the space you’re decorating. When selecting this flooring, go a little lighter than your desired shade, as this wood will naturally darken over time. This exotic wood carries with it a host of benefits that make it a long sought-after flooring choice. The look, strength, and versatility of the material make it a sound investment for new or historic homes. Brazilian cherry floors feature a deep, rich color palette with red undertones. The variation of colors call attention to the intricate wood grains of this exotic hardwood flooring. Because there are so many different shades in this wood, it is easy to pair it with many other wood furnishings in the home, creating a warm and welcoming aesthetic. When it comes to hardwoods, Brazilian cherry is one of the hardest. The Janka hardness test gives it a rating of 3500, which makes it incredibly durable and resistant to scratches, dents, and imperfections. This hardness makes it strong enough to hold up to use in even the most high-traffic areas of the home. Use it in a dining room without fear of chairs scuffing the floors. It is the density of the wood that makes Brazilian cherry so strong and that same density makes it both fire resistant and bug resistant as well. Natural oils contained in the wood kill mites and spores, making it a great option for allergy sufferers as well. This floor may be a little expensive upon initial installation, but it is absolutely an incredible value for the dollar. 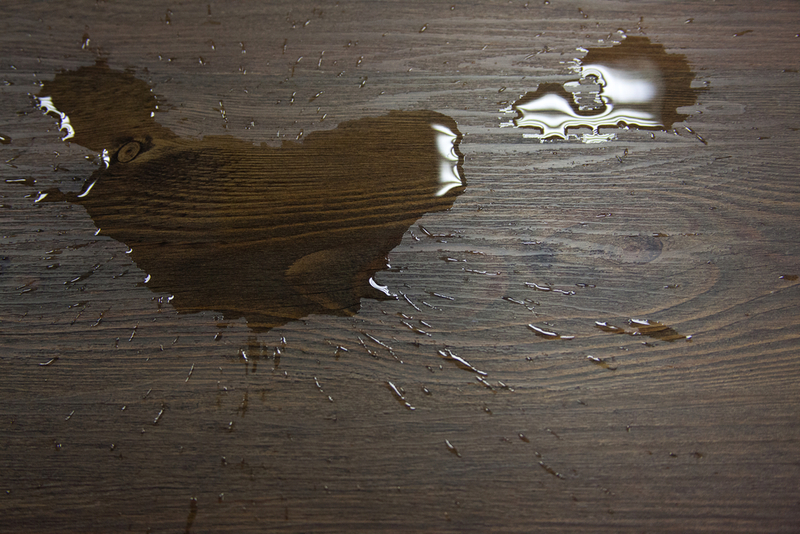 Once installed, expect Brazilian cherry floors to last for roughly 30 years; much longer with proper maintenance. The timeless look of the flooring elevates any home, enhancing resale value now and for many decades to come. 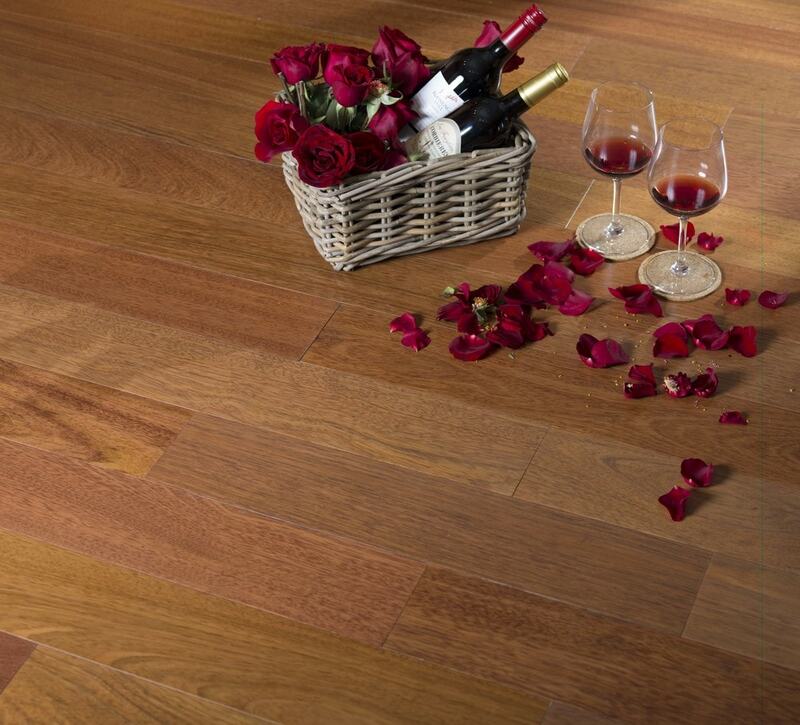 Brazilian cherry’s natural resistance to heat makes it an ideal choice for installation over a radiant flooring base. It is actually one of the only hardwoods suitable for this type of installation, providing all-season warmth for bare feet. Most hardwood flooring types can be refinished a few times in the lifespan of the flooring, but Brazilian cherry takes it a step farther. The incredible strength and density of the wood makes it possible to sand and refinish many times, even a dozen, in the span of the lifetime of the floors. Sanding and refinishing the floors on occasion with buff out any scratches that have occurred over time and provide an opportunity to change up the color. As with any flooring, Brazilian cherry comes with a few drawbacks to take into consideration when selecting this as the flooring for a space. Most of the drawbacks are minimal in comparison to the many benefits of this luxury flooring. The main item that deters people from installing hardwood floors in their home is the cost. Brazilian cherry is one of the priciest types of hardwood floors to purchase and install. If you fall in love with the warm look of this wood but can’t find room in the budget, try Brazilian walnut hardwood flooring instead. It offers a very similar look for a fraction of the cost. Another option would be getting a luxury vinyl floor designed to look like Brazilian cherry. Weigh the cost of the product against the longevity though, because although more expensive at the outset, Brazilian cherry lasts a lot longer than the less expensive alternatives. 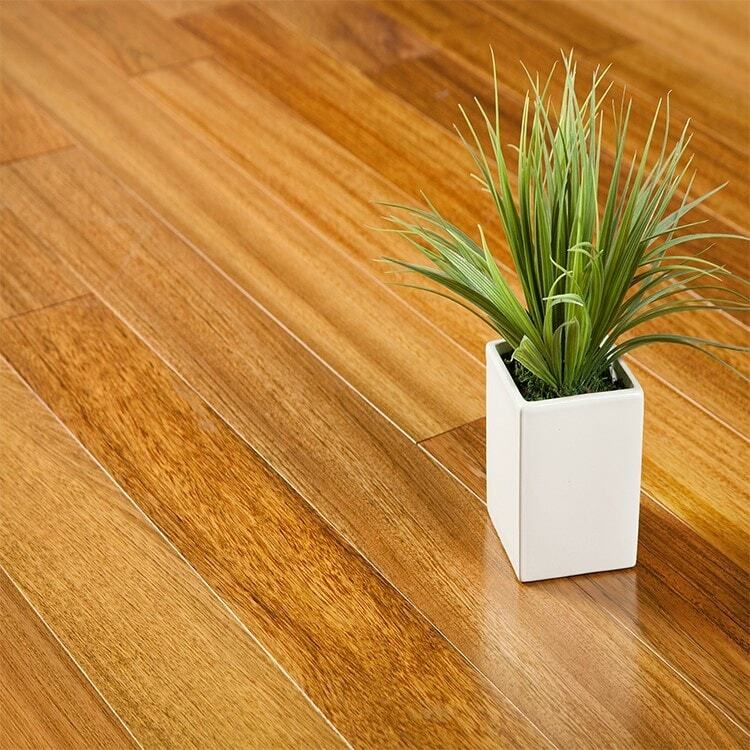 Like most floors with dark finishes, Brazilian cherry floors have a tendency to highlight any dirt and dust. Because of this, they can be difficult to maintain simply because daily cleaning is often required. If you have this flooring, consider using a robotic vacuum to keep it free of dirt and debris. Daily cleaning of the floors also helps to prevent scratches and prolongs the life of the floors. Floors with a dark finish tend to make a room feel smaller and darker. It is ideal for making a large room feel inviting and cozy, but it can be a drawback for smaller spaces, where becoming open and airy is a goal. Consider the needs of the space and the final look desired. Keep the look of the space unified by running the same flooring throughout the living area and hallways. Every transition from one flooring to another can chop up a space and make each room appear smaller. Because wood has a natural ability to absorb water, Brazilian cherry is not suitable for use in wet or high-humidity locations. It should never be installed in bathrooms or laundry rooms. It is also not generally recommended for use in kitchens, where water can splash or spill or leak from a dishwasher. If you live in an extremely humid climate and have this type of flooring, running a dehumidifier can help to prevent water damage. When it comes to adding warmth, elegance, and everlasting style to a space, Brazilian cherry hardwood floors make an excellent option. If chosen, professional installation is highly recommended. Because the wood is extremely dense, the planks can split if not installed with care. Once in place, expect this flooring to transform the look of your space and act as a strong foundation for your room for a lifetime.